World Record Coho Salmon -- 33 lbs. 4 oz. 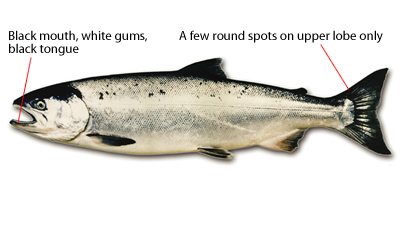 Coho have a huge range, from Japan all the way to Alaska, then south to Baja, California. The Coho has been introduced to all of the Great lakes, and is doing well there as a sport and commercial fish. This is a fish that can survive in salt water or fresh water. The salt water varieties need to return to freshwater streams in November to spawn until January. The eggs hatch in the following Spring. The young ones stay in the streams for a full year, then return to the sea to mature. They lose their spawning virginity at three years of age. Talk about starting young! They return to their home stream to populate the waters again. 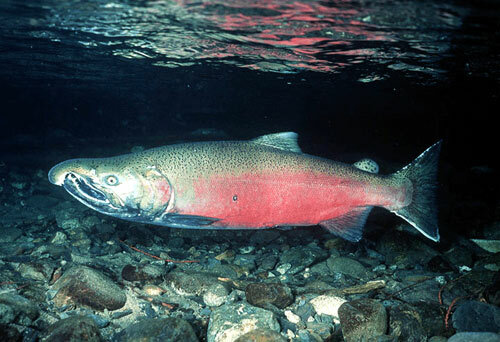 The Coho salmon has several other names including the Silver Salmon, Hook-nose Salmon, Blueback Salmon, and Jack Salmon. Coho will normally grow to about 28 inches long and weigh anywhere from 7 to 11 pounds. There have been reports of Coho in the 30 to 40 pound range. Coho Salmon are like many of the fish we discuss here. They are opportunistic cannibals and mature adults eat other fish smaller than themselves. When they come back to spawn in the fall, there is usually an ample supply of food from resident fish hatches. 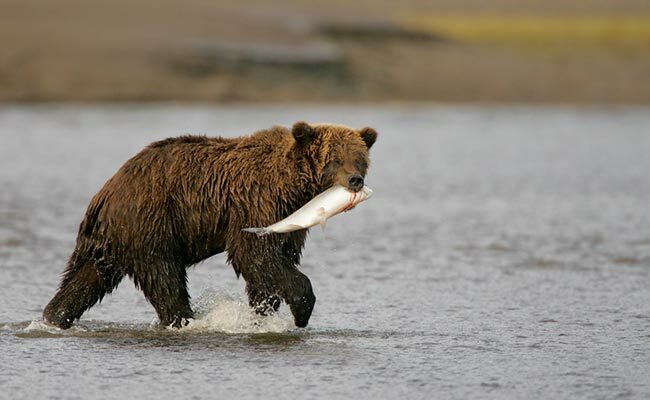 The Coho eats whenever it gets hungry. Coho can be served several ways. The most common is smoked. Other common ones include grilling, broiling, and poaching. Here is a recipe for a wonderful Coho salad. Combine mayo, dressing, parsley, salt & pepper. Mix well. Stir in diced pickle, diced onion, and the Coho Salmon. Serve this mixture on the lettuce leaves, garnish with egg and fresh tomato slices. Two servings. This is a beautiful summer salad idea and is delicious with a glass of wine, or your favorite beverage. 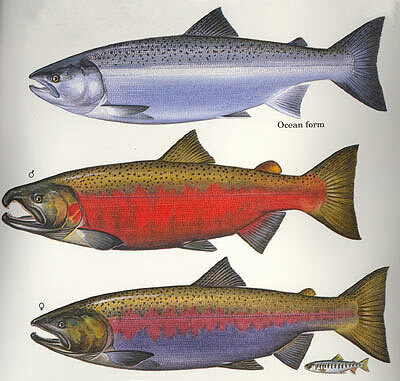 Coho salmon are very close to their Chinook cousins. Actually, most people do not realize that salmon and trout are very similar in some ways. The way to tell them apart is by the coloring. Cohos are silver with dark backs and have a pronounced hook on the nose. This is true even in freshwater, as salmon that go to sea and return to freshwater will lose their color. Remember please, if you don't eat 'em, then Catch and Release 'em. An interesting fact is that of all Coho caught in the United States, 75% are hooked in Alaska, where they are fished almost entirely commercially.